Why Is the W.H.O. Socking It To Sugar? 19 May Why Is the W.H.O. Socking It To Sugar? In 2002, the W.H.O. recommended lowering the daily sugar intake to 10% of our total energy intake per day. As you can imagine, this caused a huge uproar from our U.S. corporations, particularly the sugar industry and those that added sugar to their products. Some even suggested the U.S. should remove itself from the U.N. (the originator of the W.H.O.) to boycott its new guidelines. That was back in 2002. Now, the W.H.O. is suggesting we cut back our sugar intake even more, to less than 10% of our total energy intake per day. Five percent was the number tossed out. This would be equal to about 25 grams of sugar per day, or roughly 6 teaspoons. Hmm. So, if one can of soda has roughly 40 grams of sugar in it–or 10 teaspoons of sugar, the beverage industry is likely ready to wage war on the W.H.O. and certainly others have to wonder about our need to be in the United Nations. Every sugar company, industry and sugar affiliate has to be a little bit worried about the actual final recommendations the W.H.O. will make. But, maybe sugar companies and the manufactures of sugary cereals, candies, and sports drinks are not so worried. In 2002, the sugar level recommendations were reduced and yet obesity and diabetes continued to soar. And, there’s one more thing that continued to remain worldwide: caries–a.k.a. tooth decay. Tooth decay is the number one childhood disease. Many of us have realized sugar is a contributor to tooth decay for quite some time, but what have we done–I mean really done–to stop the influx of sugary foods and beverages into our food chain? What have we really done to educate families about the dangers of an over-sugared diet? I know what I have done: not enough. But, the more I learn about oral and systemic health issues, the more I am motivated to help my patients change their behaviors and lifestyles–to help them reduce their cavities and to help them reduce their obesity, heart disease, arthritis, and cancer rates. For me, helping patients reduce their sugar intake, and therefore reduce their cavity rate is more than just telling them to stop drinking pop or stop eating so much candy. Behavioral modification goes way beyond a patient’s 32 teeth. It means getting at the core of what beliefs, values and motivations a patient has or doesn’t have for his or her overall health. Sure, I can fix their teeth, and I can measure the profits from that and consider myself successful if I have a big profit number. But, am I really successful if my patients continue to have the same problems re-occur, or if they develop other health problems along the way? Many of the factors that cause obesity and diabetes are the same ones that cause tooth decay–the main one being over-consumption of free sugar. What is over-consumption? According to the W.H.O., it’s more than six teaspoons per day. It seems like such a small amount, I know. But, the health crisis worldwide surrounding diabetes, obesity and heart disease is that bad. We are in trouble as a country and as a world when it comes to our overall health. What can we do? From a dental standpoint, we could measure additional items on our spreadsheets, like reductions in cavity rates or the number of patients who stayed healthy in a year. What if we measured true patient health in addition to the business health of a practice? We often forget to measure the healthy patients part, and choose to focus on net gains and collection percentages. Again, I am not saying we should not measure those important numbers, too, but there is a lot more measuring that could be done to help improve the overall health outcomes of our patients. As I continue to expand my scope and think of my patients as entire beings, not just teeth and gums, I cannot overlook their systemic diseases that correlate with their oral diseases. Yes, I can notice them, and write them down in my chart notes, but that’s what we have been doing, and that is not helping us win the war on dental disease. I am a little bit embarrassed to know that the profession I am in tops the charts in disease levels. Obviously what we have been doing is only producing mediocre results. I know my colleagues, and I know we can do better than mediocre. I am amidst some of the most compulsive, competitive people I know. If we harness that energy to change behaviors in our patients, I suspect dental decay would drop significantly, and we would no longer be number one in a bad way. How would we do this as a profession? For dentists, we might want to learn new skills, beyond technical skills that allow us to prep a crown better, for example. Those clinical skills are essential, and equally important are our human relationship skills. The human skills are the ones that I predict will be most useful in the next decade as we work to eradicate dental disease. The W.H.O. is in, but who else is in? Who else is willing to reduce their sugar consumption to 5-10% of their total energy intake per day? I gave up a great deal of sugar in my diet a few years ago when I started having joint pain in my fingers, and I wanted to lose ten pounds. It was a struggle; I am not going to lie. I realized how addictive sugar can be. But, that experience…that withdrawal period of ridding my body (and mind) of expected hits of sugar, gave me a great deal of strength in the end. Now when my patients tell me how hard it is to stop their pop habits or candy nibbling habits, I can empathize with their pain. It is hard. For me, pain in my joints was hard. Not fitting into my clothes was hard, too. I had to think of a new purpose…a new belief to help me achieve my goal of being healthier. As a health care professional, I feel like I have a duty to educate more and more people about the ill effects of sugar consumption. Too much white stuff, among other sources, does lead to obesity and so many other diseases. 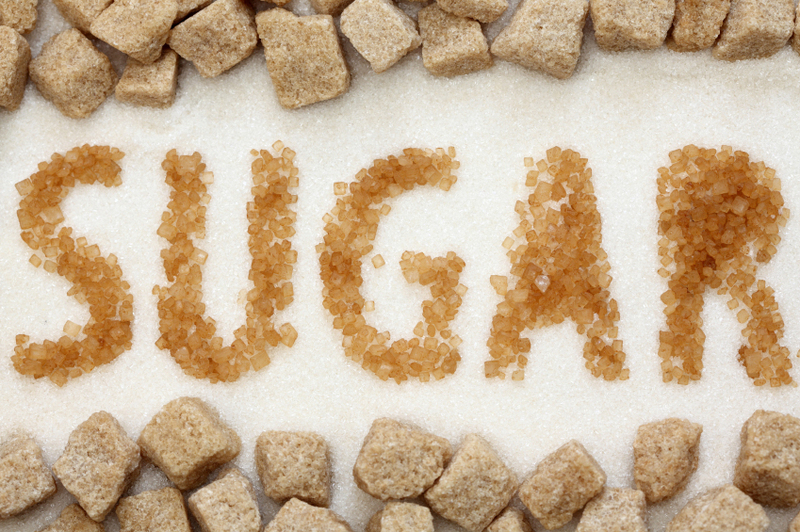 Over-consumption of sugar does lead to the number one non-communicable disease: cavities. Cavities are the tip of the iceberg, in my opinion. Although not every cavity indicates a sure obesity diagnosis or future cancer link, it could be an early indicator in many circumstances, and offers us an excellent entry point to discuss dietary needs, risks involved, and behavioral modification techniques. Being aware of the possibility is a starting point. Cavities are an indicator of an overly-sugared lifestyle. The research by the W.H.O. validates this and also validates that when people eat too much sugar, they do not choose other nourishing foods; they eat sugary foods or beverages, feel full, and then miss out on vitamin-rich foods that help them stay healthy. I am with you, W.H.O. It’s time to cut back. It time to face reality. It’s time to face the facts and the research that backs the truth–even though it hurts and even though it means we have to change our diets. But, we also need a different approach than used in 2002, or we will end up with the same mediocre results. Cancer hurts and kills. Diabetes hurts and kills. Obesity hurts and kills. Tooth decay hurts and can serve as an early indicator of a more deadly underlying disease to come before it kills. Let’s heed our warnings, start sharing this information with others, and seriously look at alternative behavior modification techniques. I don’t want to be number one anymore. #BEYOND32TEETH, awareness, behavior modification, blog, Cavities, COMMUNICATION, DENTAL, DENTAL BLOG, DENTAL PRACTICE MANAGEMENT, DENTISTRY, Health, HEALTHCARE, leadership, OBESITY, ORAL AND SYSTEMIC HEALTH, psychology, psychotherapy, sugar, teeth, W.H.O. Looking for more dental knowledge? Sign up here for One New Tip--A Monthly Tip from Dr. Knowles.